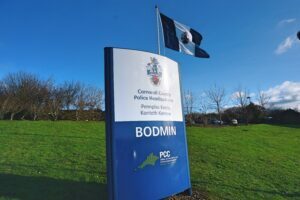 On Monday 28 January 2019 the Lord Lieutenant of Cornwall officially opened Bodmin police station as police headquarters for Cornwall and Isles of Scilly. 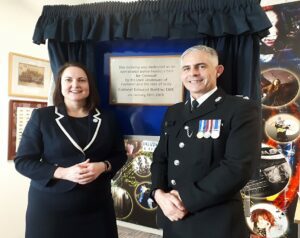 Around 50 former police officers joined Chief Constable Shaun Sawyer, PCC Alison Hernandez, Cornwall Commander Chief Superintendent Jim Pearce and members of the public and politicians to watch a plaque being unveiled to commemorate the opening. The dedication comes ahead of a £13m investment in the police estate in Cornwall, funded by the Office of the Police and Crime Commissioner and will significantly improve facilities for staff and members of the public and see the creation of a substantial new custody facility.